This program will feature Jordan Chiero as the lead instructor. Jordan has worked with some of the top High School hitters across the state as well as college teams, players, and professional hitters. This program is designed to help hitters maintain their swing throughout the vigorous summer schedule. With so much focus on playing games in the summer, players can fall into bad habits and lose track of their mechanics. The “Stay Sharp” program combats this with dynamic movement training, drill work, and live Batting Practice on the field. 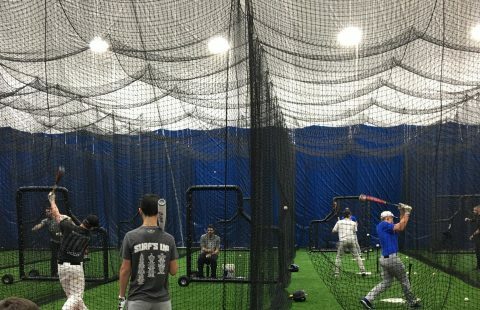 Within small groups, our instructors will help each individual hitter maintain their rhythm and set them up for strong weekend performances each week.